The majestic kings and queens of the prairies, the buffalo, are as much of our history as the North American Plains Indians, Fur Trappers, Charles Russell, and Lewis & Clark. Today, in Great Falls, Buffalo are part of our skyline, our art, and our adventures. This is why I am excited to share with you ALL the reasons Buffalo are AWESOME! Life Sustaining | Before running water and grocery stores, the plains Indians used steep cliffs to run the buffalo to their death to have food, clothing, and tools. At First Peoples Buffalo Jump, North America’s Largest, guests to the historic landmark will gain genuine insight into our first people’s independent spirit. 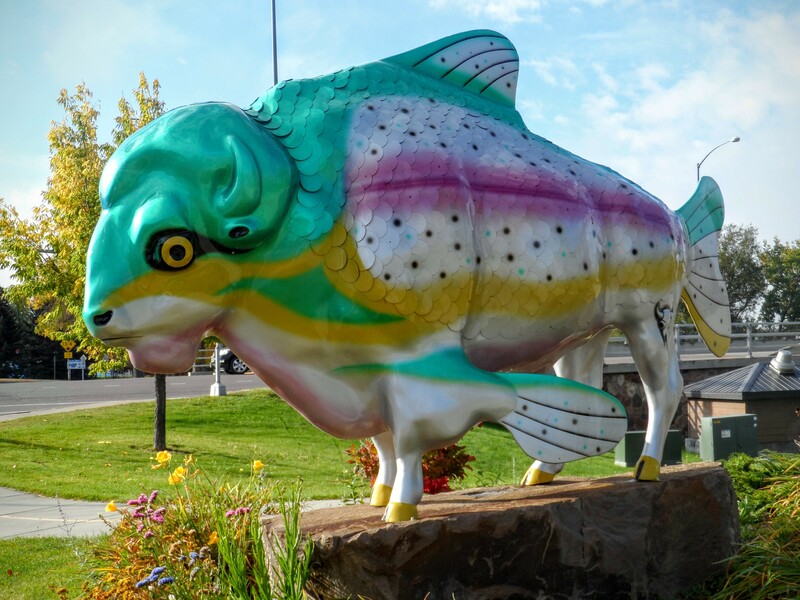 Evoke Creativity | Throughout Great Falls, over 20 buffalo dot our landscape. 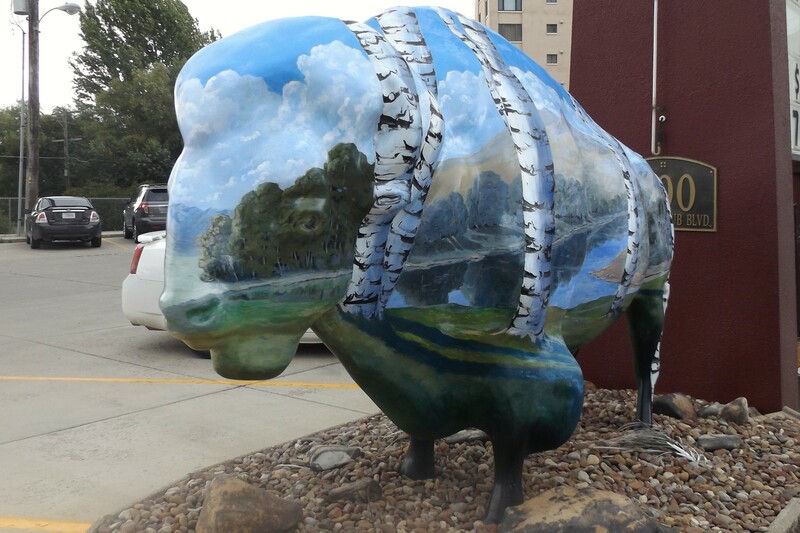 Each of these buffalo is painted by a different artist. The Great Buffalo Hunt provides everyone an opportunity to find them all, and pick their favorite. Mine, hands down, is Rainboffalo created by artist Chris Miller. Chris says the piece “symbolizes my long-term love of the water and a respect for the freedom that wild animals enjoy”. This work of art can be found along the River’s Edge Trail, across from Milwaukee Station at #1 River Drive North. As you hunt for your favorite, share what you find socially using #GreatBuffaloHunt. 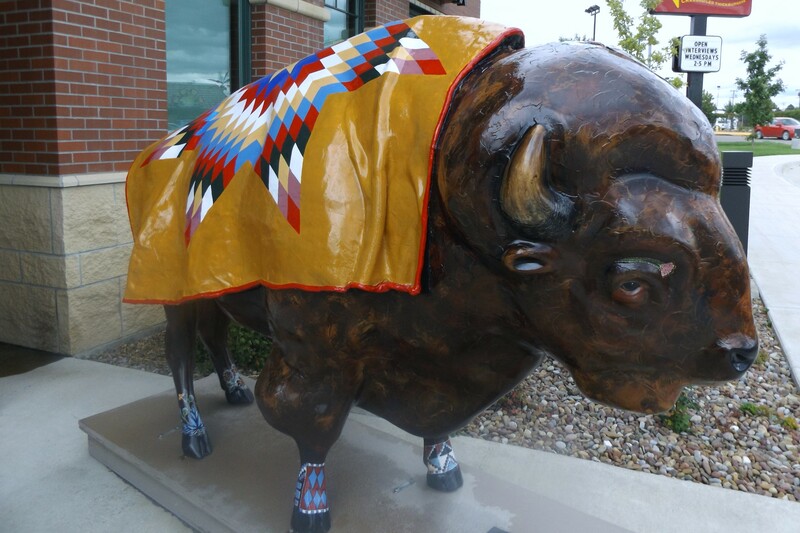 Human Intertwining | The CM Russell Museum’s exhibition, The Bison: American Icon, Heart of Plains Indian Culture, took 3 years to plan and was awarded grants from the National Endowment for the Humanities and the Institute for Museum and Library Sciences. The exhibit’s theme examines the culture of the Northern Plains through a historical survey of the interactions of people with bison. Using the bison as a gateway, visitors are immersed in a distinctive experience about the cultural history of Montana and the Rocky Mountain region, and the ongoing relationship between the American West, and American identity today. Delicious | Bison Burgers are some of the leanest and local food you can get. 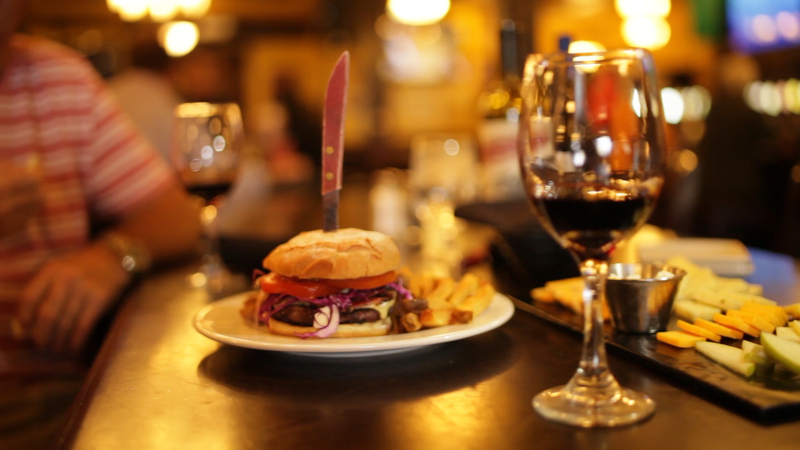 Montana’s Best Irish Pub serves up a bison burger in an environment that is relaxing, hospitable, and usually full of live music. Bert & Ernie’s also offers a bison burger in a great family environment, although my favorite item on Bert & Ernie’s menu is the Quinoa Salad. In Great Falls, we are proud of the buffalo that are woven into the fabric of our community, which in and of itself, is just simply awesome!